The Retailers Association of India has alleged that e-commerce marketplaces have found ways to circumvent restrictions placed on them under Press Note 3 issued by the Department of Industrial Policy and Promotion in 2016. Get ready for another bout of brick-and-mortar versus e-tailers. Back in 2015, a body representing the former, the Retailers Association of India (RAI), had filed a petition in the Delhi High Court seeking a level playing field for e-commerce players and offline players in the FDI regulations. RAI's efforts paid off and the government introduced new rules the following year, including 100 per cent FDI in the marketplace format of e-commerce retail - which is the model followed by the likes of Amazon India, Flipkart and Snapdeal - and capping an e-tailer's total sales from one vendor or its group companies at 25 per cent. "The definitions in the notification will prevent marketplaces from behaving like pseudo retailers," RAI had said in a statement back then. But now, according to The Economic Times, RAI is alleging that e-commerce marketplaces have found ways to circumvent restrictions placed on them under Press Note 3 issued by the Department of Industrial Policy and Promotion (DIPP) in 2016. One of the guidelines listed in the circular is that "e-commerce entities providing marketplace will not directly or indirectly influence the sale price of goods or services and shall maintain level playing field". The retailer body with over 13,000 members, including the Future Group, Shoppers Stop, and Reliance Retail, has alleged that e-commerce companies are not only violating India's foreign investment regulations by influencing prices on their platforms and illegally funding "abnormal discounts" but are also selling own brands/private labels through their websites. "Marketplace operators/technology platform providers have been operating against the spirit of the policy for some time now... There is an ambiguity around these guidelines which can be worked around by marketplace operators to overcome the restrictions defined in the B2C e-commerce policy," RAI added in the letter sent out to commerce and industry minister Suresh Prabhu on Saturday, reportedly seen by the daily. "This means that they can continue to operate against the spirit of the policy with no checks and balances." The letter further pointed out that this "ultimately results in multi-fold increase in valuation of such companies, despite them making losses. The aim of accepting of FDI is not to avert losses but to increase valuation, so that a few shareholders are able to achieve the maximum benefit". Future Retail Joint Managing Director Rakesh Biyani also lent his voice to the chorus on Monday, saying there is a level-playing field imbalance happening due to improper discounts and that such practices are putting a question mark on the market decorum, reported PTI. "If one particular channel is misusing its money power to discount the product at a faster rate and the other channel is unable to match the price, it shrinks the market," he commented. These developments come just days after the Indian Cellular Association (ICA) reportedly dashed off a similar letter to Prabhu against Amazon India and Flipkart. According to the daily, the ICA, which represents handset makers Apple, Micromax, Nokia, Vivo, Lava and Lenovo/Motorola, alleged that the e-commerce giants were offering discounts on products, directly or indirectly, on mobile phones through intermediaries or partner companies, which was eroding offline retailers' revenues and putting 60 million jobs at risk. "Looking at the alarming situation in India and the sector, we request urgent and severe action against Amazon India and Flipkart for rampant violations of the conditions of Press Note 3," ICA added in the letter. The Confederation of All India Traders also reportedly took up this refrain recently. The e-tailers in the crosshairs have denied all such allegations. 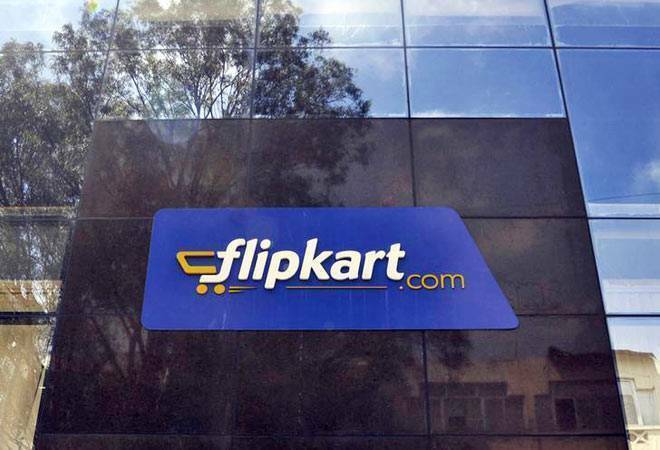 "We conduct our business with highest standards of integrity and in compliance with applicable laws," a Flipkart spokesperson told the daily. "All sales, including sales of private label products, on the platform are undertaken by sellers who are listed on the platform." Similarly, an Amazon India spokesperson said the company is a pure third-party marketplace, adding that the firm is in compliance with all applicable laws, including Press Note 3. The angst against predatory pricing on e-commerce sites has actually been building up since last October, when attractive festive season discounts were rolled out online, which in some cases were reportedly cheaper than the distributor price, too. So are the days of deep discounts on online shopping numbered?